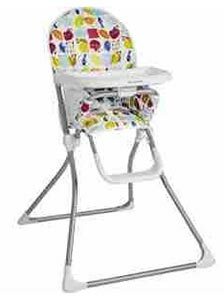 Mamas and Papas High Chair, suitable for babies aged six months to three years – weight up to 15kg. Folds Flat. Wipe clean main tray. Five point harness. Wipe clean seat.